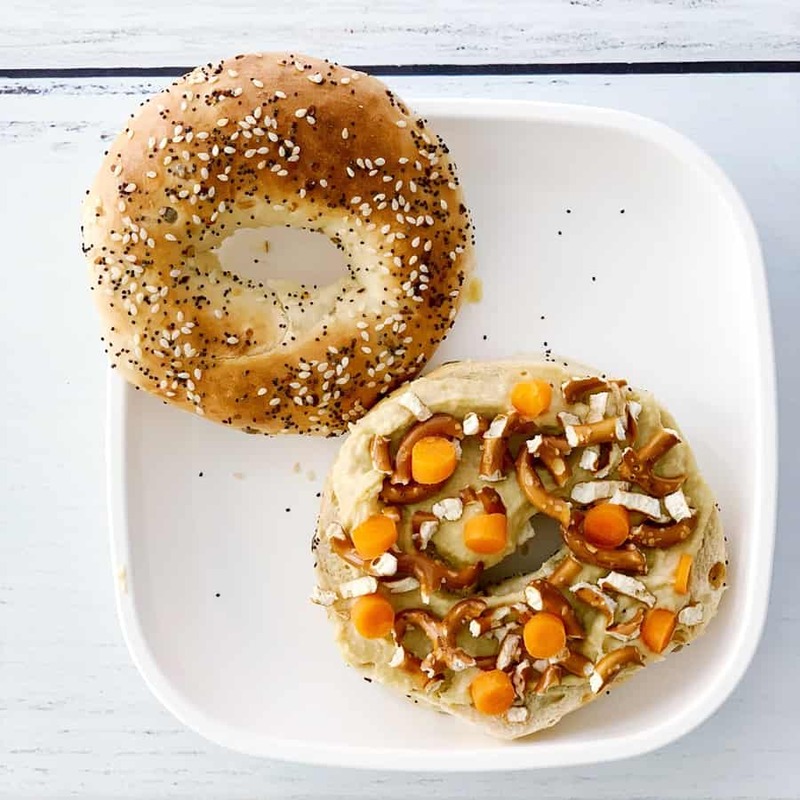 What is is about the combination of hummus with either carrots or hummus as a snack? Or smeared on top of some yummy crackers or crusty bread? 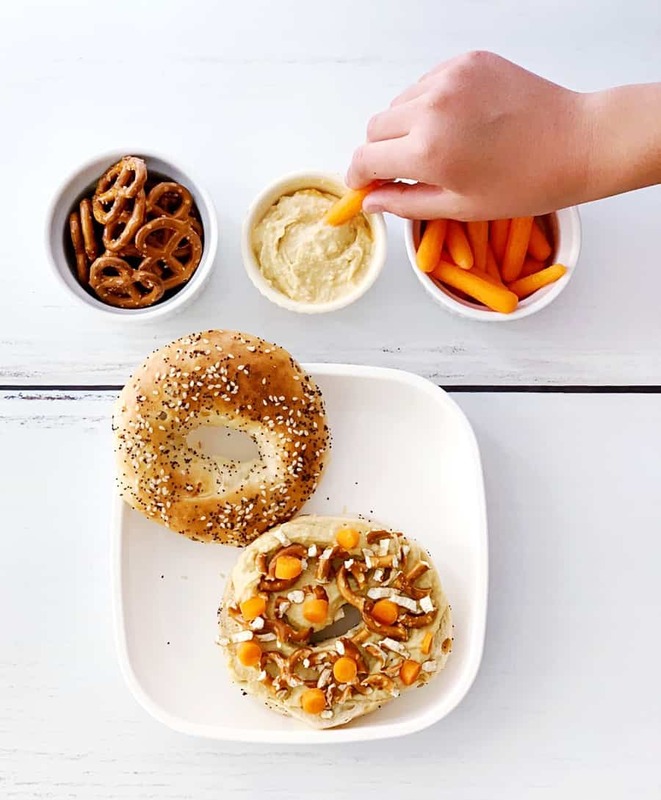 One of the only ways I can get my kids to eat raw carrots is with a dollop of creamy hummus! 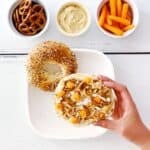 They also like the salty combination from a handful of pretzels that rounds out a hearty snack while balancing the carbs portion with plant based protein (did you know hummus is usually made from garbanzo beans?). 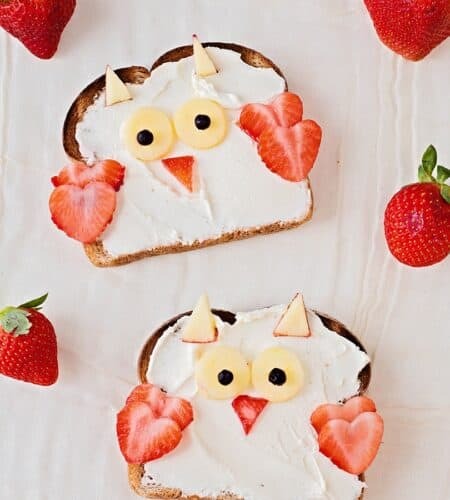 The lightbulb struck to combine one of our favorite snack into a sandwich! 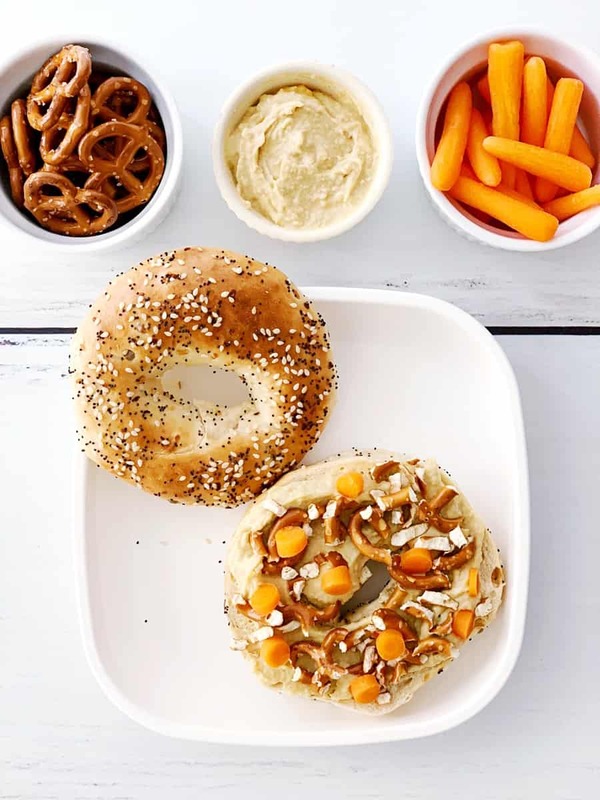 We used an Everything bagel because this popular flavoring compliments the savory flavors of carrots, hummus and pretzels so well. 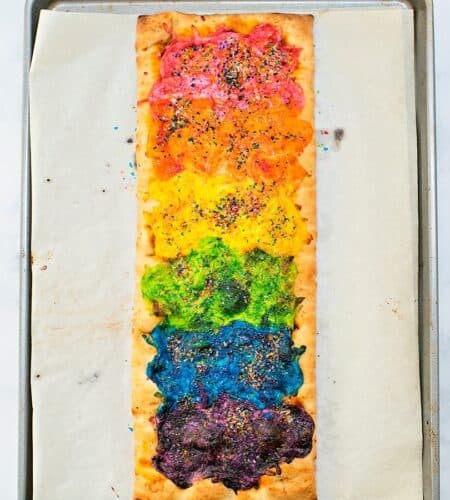 But you can roll this up into your favorite whole wheat wrap, pita or bread! 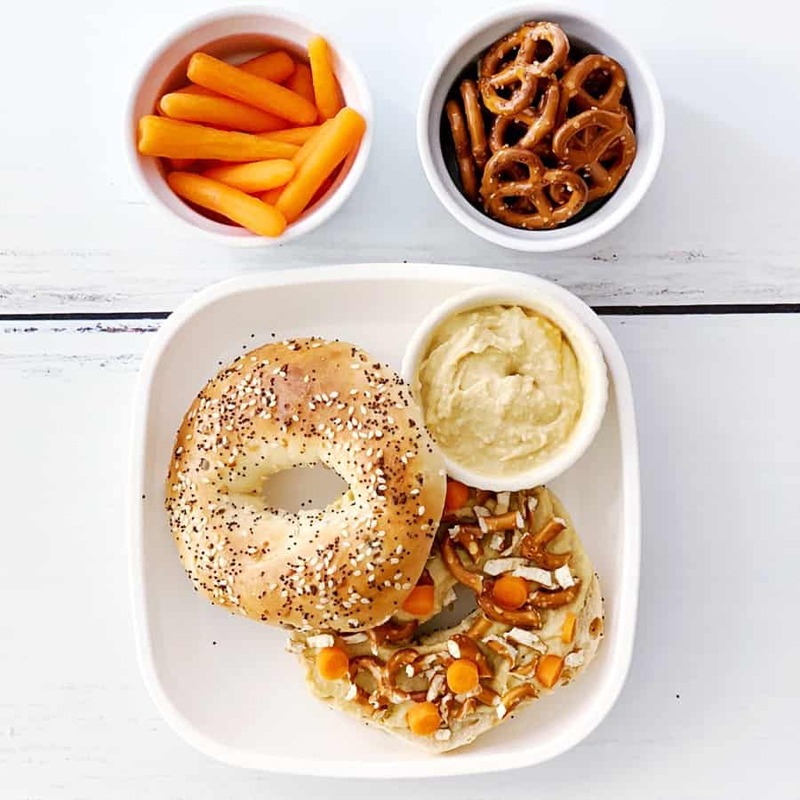 This makes a hearty lunch and easy school lunchbox sandwich idea! 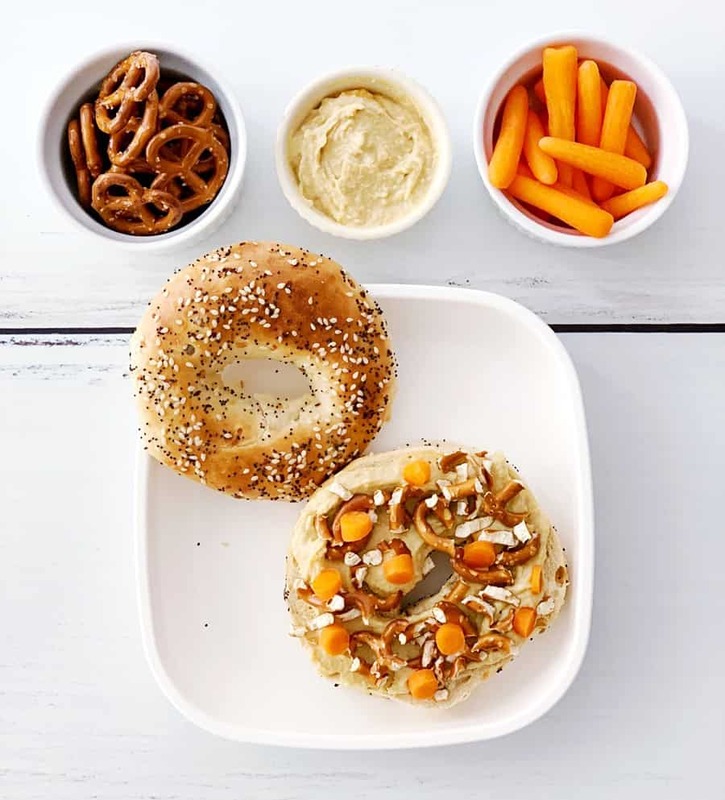 Combine your favorite way to eat hummus into one yummy carrot and pretzel sandwich! 1. 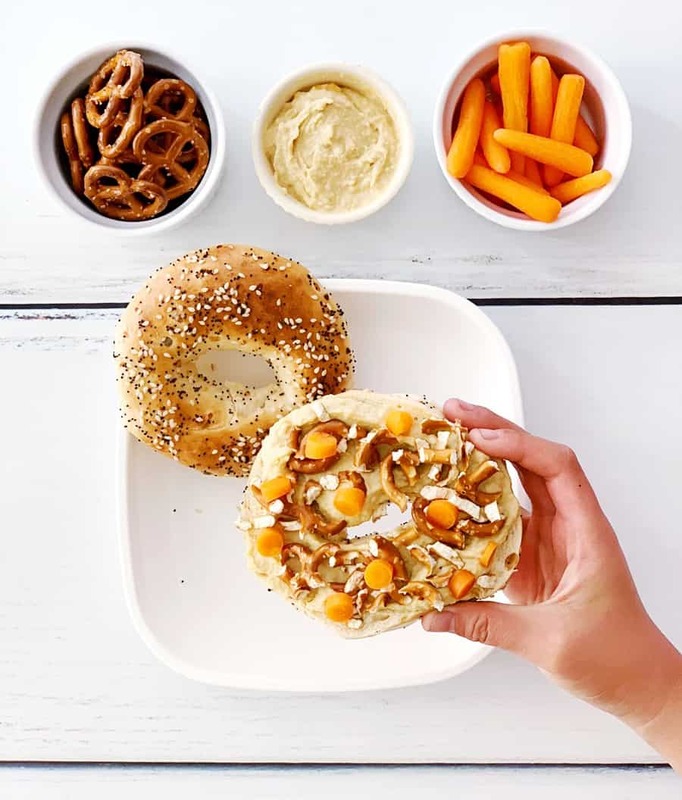 Add your pretzel to a sandwich zip bag and lightly crush with a utensil, or rolling pin. 3. Top with your chopped carrots and crushed pretzels. 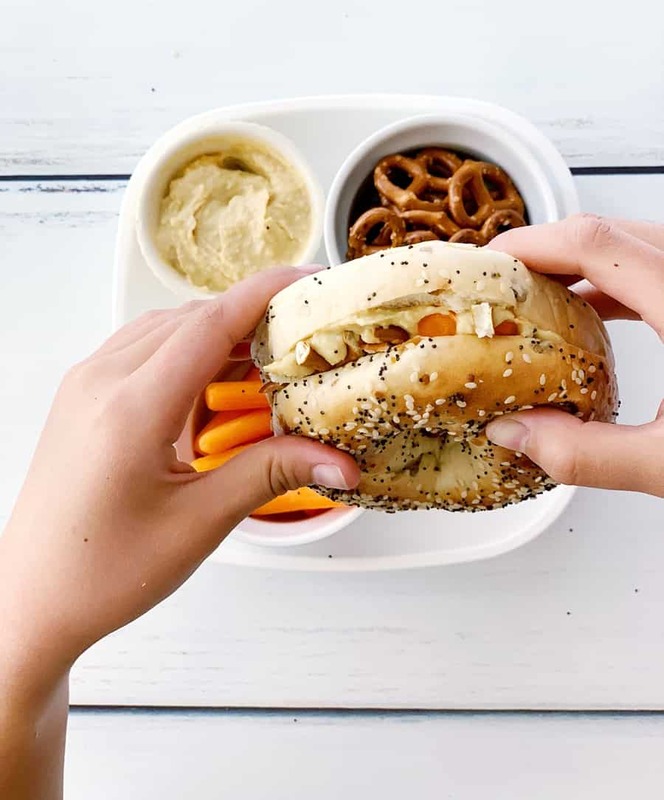 We’re obsessed with making more snack mash-up sandwiches now and/or ones with hummus as the star! 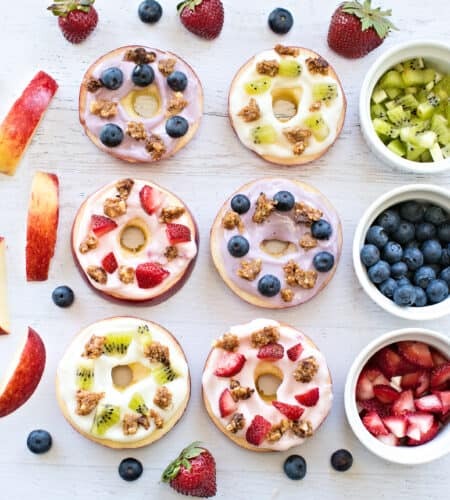 Get more lunch ideas for kids.